Styling with static-generating hairbrush bristles can cause unattractive hair fly-aways. Removing static electricity from a hairbrush will not only keep your hair soft and smooth, but protect the longevity of your hair brush through regular cleaning. Getting static out of a hairbrush is easy to do and quick to accomplish. Mist hair brush with water. Moistening the bristles can help get rid of unwanted static electricity. Spritz brush bristles with hair spray. Used in moderation, hair spray applications to both your hair and brush can help eliminate static electricity. Rub hair brush with a static dryer sheet. Keep your hair brush static-free and smelling as fresh as linens by giving it a once-over with any static dryer sheet brand. Give both your hair brush and hair a deep-cleanse. Shampooing combined with twice-weekly deep-conditioning treatments help free your hair and styling aids of static electricity. 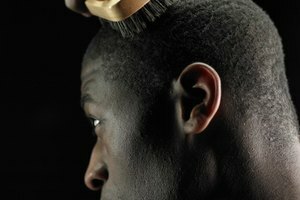 Examine the health of your hair. 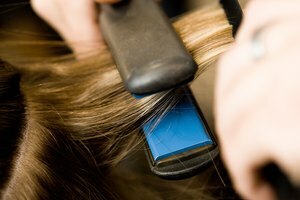 You may be experiencing static electricity on your hair brush because your hair is excessively dry or weighed down by excess hair products. Use new hair products. If static electricity on your hair and brushes occur daily, mix up your routine and try a new shampoo or conditioner. Look for products with the following ingredients: polyquaternium, quaternium 18 and stearamidaproply dimethylamine to help get rid of static. Consider purchasing a new hairbrush. Brushes made from certain materials--such as plastic--are more likely to have static electricity. 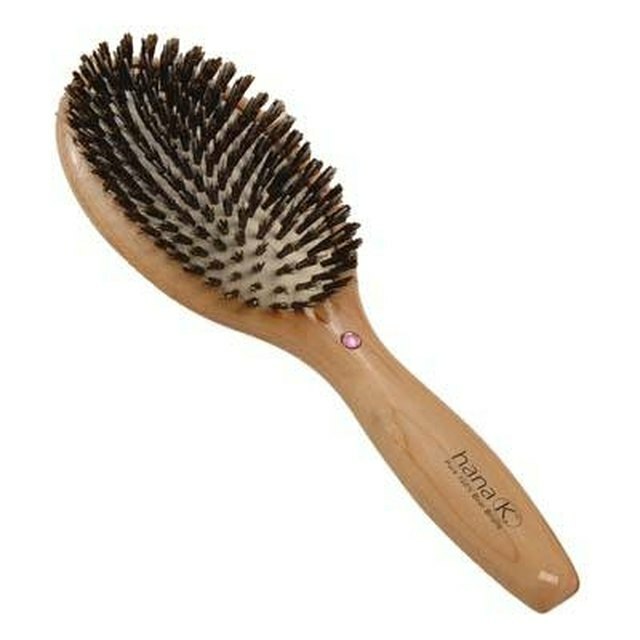 Try out an anti-static hair brush, a style made from wood or one with natural hair bristles (such as boar). Some people find that using Static Guard on their hair brush helps remove static electricity. However, this product is generally meant for use on clothing fabrics. 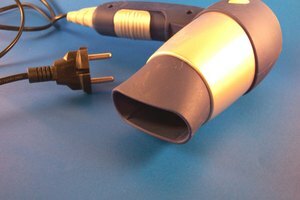 Avoid overapplying anti-static products, as this can make hair look greasy. Be watchful of products (like static dryer sheets) that have excess chemicals. Try utilizing anti-static products made from natural products, such as lavender. Do not overbrush your hair, as this can cause hair damage. Use a clarifying shampoo daily on your hair and brush for best results.